This is our homemade all organic love scrub! This is a purifying and cleansing scrub that is perfect for face and body. This scrub is made with sugar, activated charcoal, colloidal silver, meadow foam oil, argon oil, sunflower oil, and coconut oil. 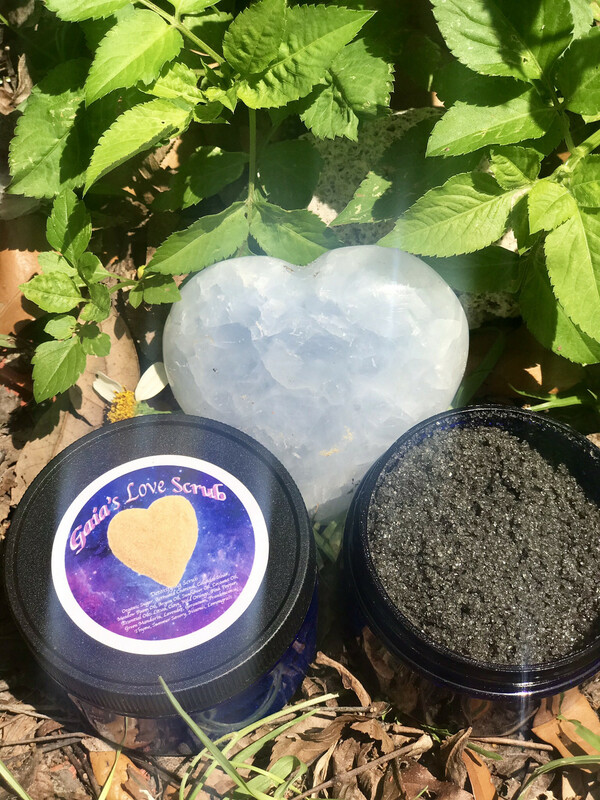 This scrub is also infused with litsea, clove, wild orange, pink pepper, green mandarin, lavender, geranium, frankincense, thyme, summer savory, niaouli, and lemongrass essential oils. This beautiful blend both purifies, softens and moisturizes the skin. All of our products are made with love and blessed for the highest healing. All products are infused with the energies of the unified field which are the highest in the planet.